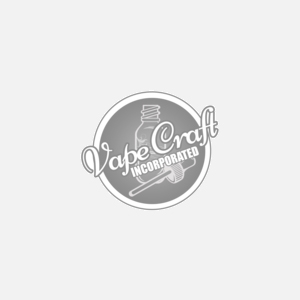 This entry was posted on February 27, 2016 by vape. Vapers all around the world want to blow bigger clouds when vaping. Some of those vapers take it as far as to become "cloud chasers" which I will explain in more details what that involves. More and more vapers are buying RDA’s and sub ohm tanks to create the biggest clouds around. I’m going to explain in this blog post what cloud chasing is, what you need to know about cloud chasing and the possible dangers of cloud chasing. Many vapors work constantly on their mods and atomizers as it isn’t just a hobby for them, it’s a sport. There are actual competitions happening around the country where vapors who can blow the biggest clouds will win a prize as big as thousands of dollars. These competitors are called ‘cloud chasers’ and the sport is called, you guessed it… cloud chasing. We are working on a blog post that is entirely dedicated to battery safety so I won't touch too much on it in this post. But keep this in mind, misuse of batteries can potentially cause it to explode or catch fire. In short, make sure to never leave your mod charging unattended, never overcharge your mod and never use a charger that isn’t branded or that came with your mod. Airflow can be a tricky one to get right as if not enough air is escaping then the mod could potentially explode but if there is too much air then it will thin out your vapor clouds. As a cloud chaser, not only do you want huge clouds but also dense clouds which is why getting the airflow right without overheating the mod is a tricky task. To anyone who wants to just simply vape then I always recommend having a blend of both propylene glycol (PG) and vegetable glycerine (VG). This is so you don’t get a harsh throat and so the experience is lighter. However for cloud chasing, it is best to have a VG heavy e-liquid because it is a thicker liquid which will result in denser clouds. We found a 70/30 VG to PG ratio is the perfect combo for superior flavor, throat hit and cloud production. 70/30 is great for everyday vaping. Although if you where to enter a "cloud competition", you most likely want to use Max VG(100%). To avoid any possible explosion or fire, make sure to invest in a mod that supports the low resistance of your coil builds. There are two types of mods; regulated mods and mechanical mods. Cloud chasers most commonly choose to go for mechanical mods as they have excellent air holes and connectivity. Mechanical mods are most definitely not for beginners though; they require extensive knowledge on battery safety and ohm’s law. For those cloud chasers who are competitive, having a rebuildable drip atomizer (RDA) is an absolute must. RDA’s require cloud chasers to build their own coils which they can attach to the tank using a screwdriver or other similar tool. RDA’s are also known as ‘drippers’ because you have to manually drip the e-liquid directly onto the coils before every few puffs. This isn’t the best for everyday use but is great for cloud chasing as the clouds produced from it are humongous. Not only do you need some quality equipment and vast knowledge of the ohm law, you also need to perfect your inhale and exhale technique if you want to become a cloud chaser. For example, if you exhale too fast then the cloud will thin out. If you want a large dense cloud then exhale slowly. Another tip is what cloud chasers refer to as the ‘rip trippers’ technique which involves moving back as you exhale. Another important element to creating huge clouds is wicking. There are a number of different ways to wick your low resistance coils including tucking the wick underneath the coil, tucking it behind the coil or clipping it without tucking. Getting your wicking right will give you the most use out of your e-liquid. A good technique is to cut both ends of a wick to create ‘tails’. Fluff these tails up a bit and tuck both of them under the coil. Make sure to clear a little airway though beneath the wick and push slightly to one side. Cloud chasing all comes down to how you build your coils. In short, the lower the resistance of your coils, the bigger your clouds will be. Of course, all the other factors mentioned above will account too but the build of the coil is the heart and soul if you like. There is a choice between a single coil and dual coil however most cloud chasers choose to go for dual coils because it produces more vapor. A question we often get is, what is the best cloud chasing build? And people asking what is the best mod for cloud chasing? But as you can see there is many different factors. Let me ask you, what do you think makes the best cloud chasing builds? Let us know in the comments below. Cloud chasing can be safe but if you don’t know what you are doing and don’t understand about battery safety or ohm’s law then it can be very dangerous. It is important to know things such as what batteries are safe to use with low resistance coils, how often to change batteries when cloud chasing or how big the air holes should be. When cloud chasing, you are literally pushing batteries to their limit. If you don’t know when to change batteries or use the wrong ones, it could end up exploding. Cloud chasing is certainly not for beginners or even intermediaries, it is only for those who are used to sub ohm vaping and want to take it to the next level. If you don’t know what you are doing, you could end up with a serious injury. Make sure to do your homework on this one and don’t rush into building a mod and firing it without knowing whether you have met all of the safety precautions. You are literally playing with fire. RDA'S: Goon, Battle deck, Velocity, Fogwind 2-3-4, Kennedy, Dark horse, and rda that started chuff caps doge any version but the v1 post hole were a little small. g-plat, most low resistance hot wire will work fine and Sony vct or orbatronic both 30 amp battery out of everything the most important thing is type wire, quality of build and battery. Of course this is all subjective and just my opinion on what works for me you could require much different equipment. I know this is an old post, but I'm a semi-starter cloud chaser. I use a royal rda clone and I prefer quad coils, I'm getting a gigantic rda that will probably destroy competitions, anyone know what the furtherest cloud is as of 2016? Right now just from my tank I get about 6-7 feet when I'm not even trying to blow far, my furthest is 8ft with my rda. Hey Andrew, what I use is a Sapor RDA with a 1.8 ohm resistance and I used to have a box mod, not too sure of the name but it was also 200W, obviously with such low resistance 200W is far too much power, it will heat the coils too much, especially a single coil build, I would basically make sure you have a 70/30 ratio of VG to Juice, I found it's really difficult to achieve great taste and clouds but, if you do want to get the closest thing, 8 would recommend using a higher nicotine percentage on your juice, the juice I use is 18mg, but of course the VG I added in cooled it down a bit, but there's a great taste and a hella lot of smoke, there's also a great throat hit though so if you dont use nicotine then this method probably isn't right for you, another factor I noticed is that with the right VG balance, 50W is perfect for clouds, and I also get no burn taste which is great. Obviously make sure you wick that mofo till it's litterally soaked, hope this helped, good luck! Hi, im using sigelei 30W box mod and a apocalypse Gen 2 dripper...what i found was fantastic....im using only 5W on my mod and the cloud was very dense and thick, my friend told me that using 5W only can make it cloud chasing...what was very important is the dripper...when choosing wrong dripper, no matter how high the wattage could be, the cloud still be thin...but for my dripper.. Which MOD Type: Regulated or Unregulated?